We don’t travel light. And we have a 1200 pound limit (500 each for Andreas and me, and 200 for Alekka, but of course we don’t have to divide it up exactly that way). So we need to keep track of what all we’re packing. 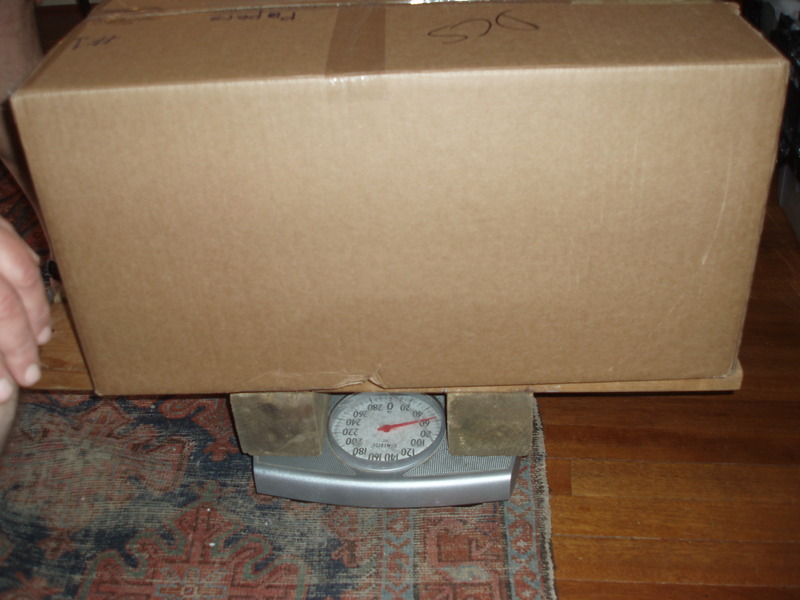 Andreas built a wooden platform to put on our bathroom scale so we can weigh the boxes. We tested what we have so far and made a list, numbering each box, describing the contents and recording the weight. So far we are up to 700 pounds. That is all of Andreas’s things, my work stuff, and some household items. Actually I would say we’re doing pretty well. But I am still wondering how much of this is really necessary. We are not moving to the moon, after all. They do have stores in Damascus. 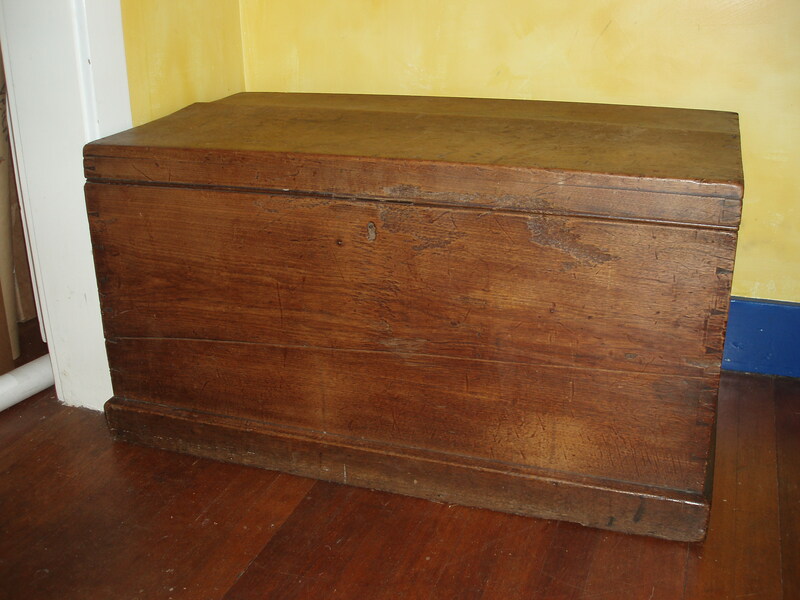 I keep thinking about these wooden boxes, reminders that when my ancestors Gilbert and Euphenia Rowan emigrated from Scotland to Ontario in 1817, everything they brought was in these two trunks. The big brown one was for clothes and household goods, the small one for books. And that was for a family of seven who were going to have to clear the land, build a cabin, and grow all their own food. And they were going to stay in Canada for the rest of their lives. 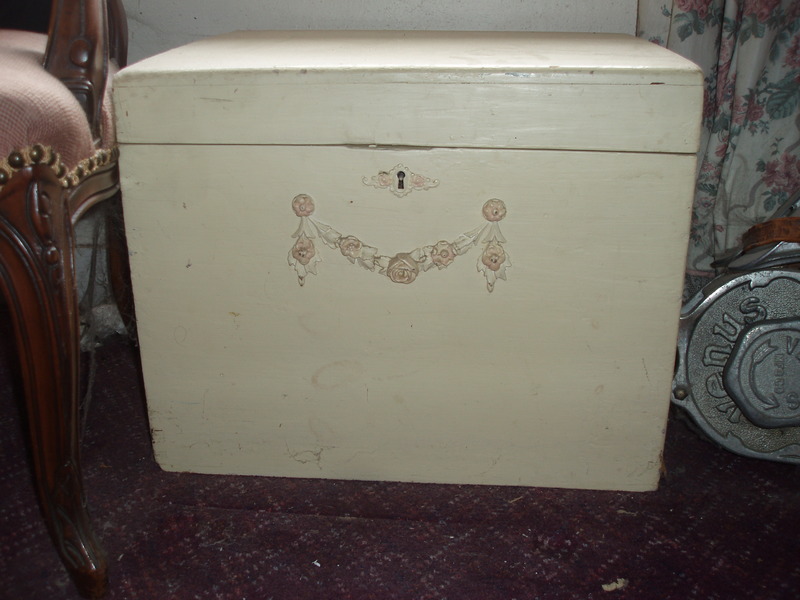 This trunk was for clothes and household items. This entry was posted in Expat experience, Family, Syria and tagged ancestors, moving, packing, Rowan, shipping. Bookmark the permalink. Love it! One for books, one for everything else. People with values I can relate to!